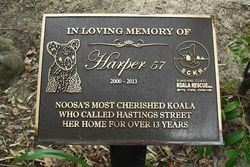 Plaque erected in memory of Koala "Harper 57" who called Hastings Street in Noosa her home for 13 years. 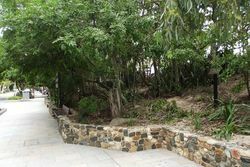 Harper was an icon of Noosa's Hastings St, a drawcard for international tourists. Seven months since the 13-year-old koala died, people still ask, "Where's the koala in the main street?". "We lost her," Sunshine Coast Koala Wildlife Rescue volunteer Ray Chambers replies. Mr Chambers and his brother Murray have been rescuing koalas for more than five years and Harper will always hold a special place in their hearts. 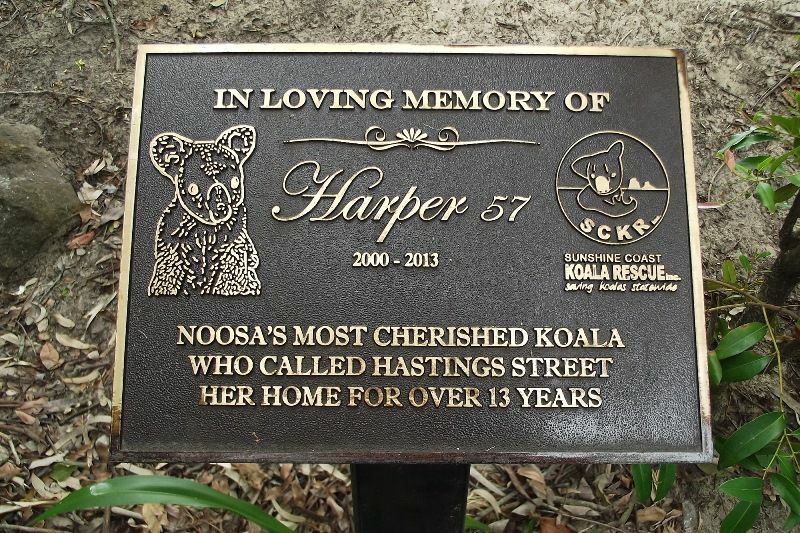 In memory of Harper, they have erected a plaque at her tree, outside the Noosa Surf Club. "We've put in a couple of crosses over our time, but this is the first plaque," Mr Chambers said. "She grew up in Hastings Street before it was the big tourist drawcard it is today. The fact she grew up in that, she's a testament to time. She lived to an old age, she got through without being sick and got through living in a full suburban environment. We rescued her five times in her lifetime and relocated her and put her in a safe spot, but she always made her way back to the Surf Club tree." The Northern Star (NSW), 9th February 2014.